A fundraising dinner for State Senate candidate Alan Nakanishi will be held on Sunday, Sept. 11, at 4:30 p.m. at Steven’s Steakhouse, 5332 Stevens Pl. in City of Commerce (Santa Ana Freeway and Atlantic Boulevard). 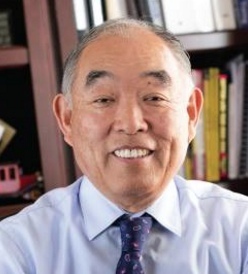 Former Assemblymember Nakanishi is a physician, co-founding member of the Delta Eye Medical Group, and Republican nominee for State Senate District 5, which incorporates the cities of Stockton, Modesto and Lodi. While serving on the Appropriations Committee in the Assembly, he utilized his business and medical backgrounds to advance the economic interests of Asian Americans and others throughout California. For instance, he backed a number of bills in support of the medical profession. As a state senator, he pledges to build upon his track record of achievement to advance the interests of California’s Asian American and other populations in the fields of education equality, job and small business creation, and economic development. The 5th Senate District is one of five districts targeted for victory by the California Republican Party in 2016 due to the even registration of Democrats and Republicans. The Dinner Host Committee consists of Dr. Marina Tse, Nelson Huang, Tac Phung, and Roger Minami.